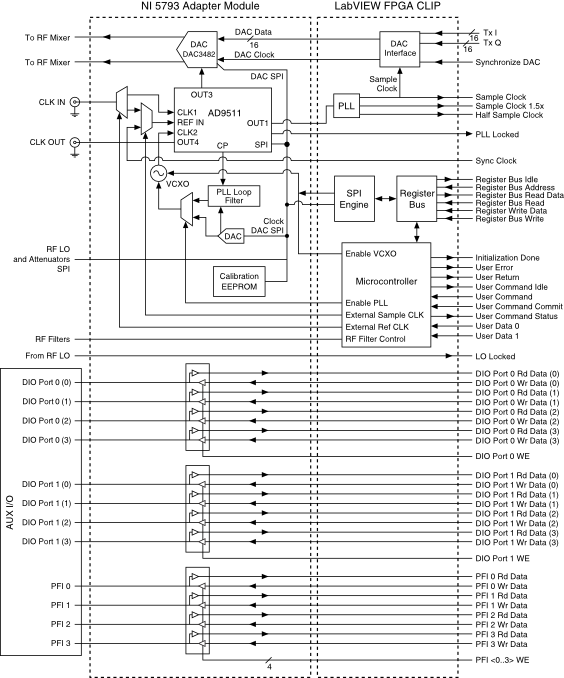 The following figure shows the NI 5793 block diagram. 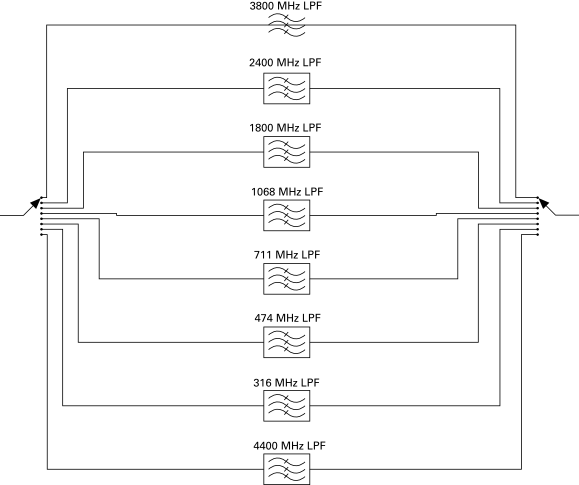 The following figure shows the connections between the NI 5793 and the LabVIEW FPGA CLIP. 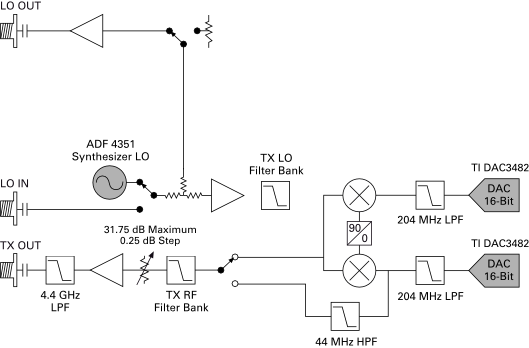 The following figure shows the NI 5793 low-pass filter bank.